1 Huthwaite Court is now SOLD and they need some new neighbours, could number 2 be the property you have been looking for? 2 Huthwaite Court has been individually designed to compliment modern living. The build combines traditional building materials and contemporary interior features. 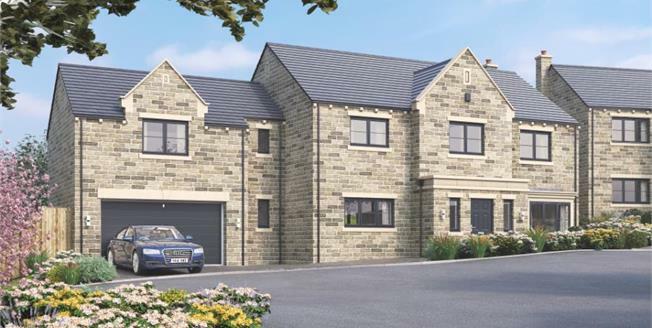 This particular plot is located in the heart of this exclusive development, so expect to be impressed! The journey through this new home begins in the impressive galleried reception hall. Stemming off from the hallway is the generously sized lounge, which receives glorious natural light from the windows which will outlook onto the rear garden. The lounge area is perfect for relaxing - especially when there is a wood burning stove to gather around. If relaxation isn't on your agenda, you can utilise the copious amount of space the kitchen, dining and family room has to offer. Whether you are hosting a dinner party for your guests, or entertaining the family this room can provide it all. As an added bonus, the two sets of bi fold doors flood the room with bright sunshine from the rear southerly facing garden - perfect for those later summer evenings. Leading from the kitchen/dining space is your utility room which in turn allows you access to your downstairs WC and the double integral garage. As you climb the stairs to the first floor and you have five bedrooms to enjoy. All of the family are catered for with a four piece family bathroom on the landing, and an ensuite to bedroom two. The sizeable landing also takes you to the real gem of the first floor - the master bedroom! It is essentially your very own 'wing'. The bedroom includes a dressing area and an ensuite with a shower room - it will feel as though you will have your very own haven. Externally, the rear garden is private and landscaped with generous paved areas blending into the environment. The block paved driveway to the front of the property leads to your double integral garage which will be an electric door.